The LoonieDollar continues to follow crude oil lower after decoupling from its relationship in September. CADUSD is moving towards its ~0.9530 level but could test ~0.9450 before a possible reversal higher. CADUSD short term risk exposure remains to the downside even though we believe Crude Oil is reaching oversold conditions and might attempt a directional change. 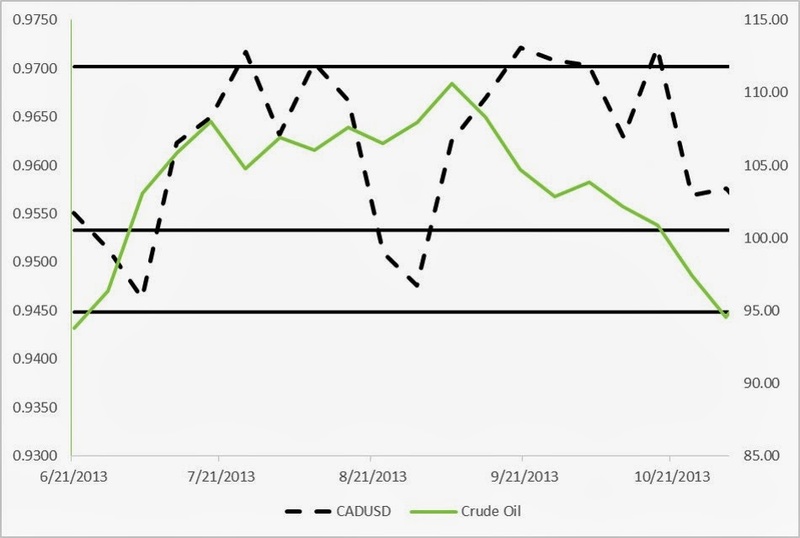 Examining the correlation relationship, a move higher in Crude Oil should support a CADUSD move higher. 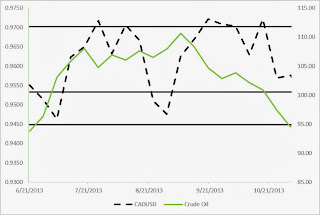 However, Crude is likely to outpace the Loonie in the event of a reversal to the upside. Technical Outlook: Initial focus is Short LoonieDollar Long Crude Oil.